Recent price drops have made several high dividend stocks look very strong from an income perspective. I wrote last week about several big dividend names that were offering 5-7% yields which are well above any comparable treasury. Today, we will talk about adding to that yield with an income strategy that is relatively simple and risk-free. That third item can often add 2-4% on top of what the dividend pays you. That can double your income potentially without taking on any undue risk. Let’s go through how we can make this happen. A covered call is simply an option that you would sell through your brokerage account. Options are either Puts or Calls. Calls is the option to buy a stock for a set price usually higher than what it is currently priced. A covered call simply means that you are a selling a call for one of the high dividend stocks that you already own. For example, if you own 100 shares of Walmart, it is currently trading at a little over $96 a share. 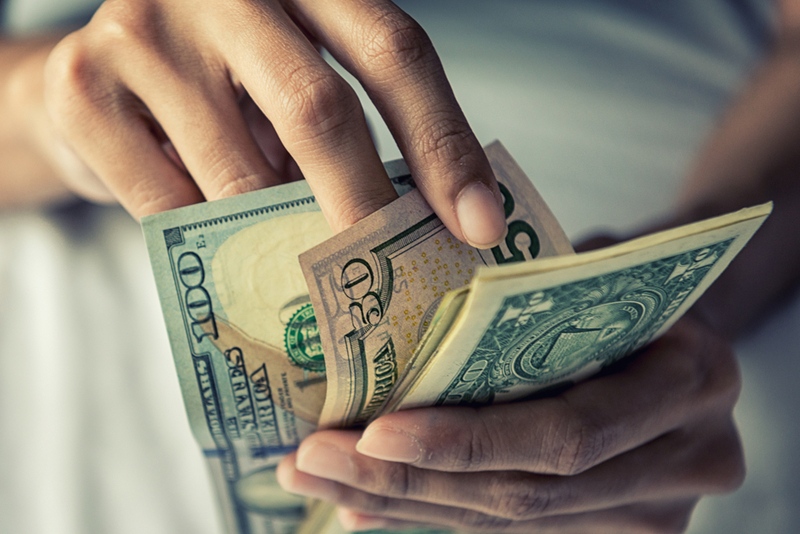 The Dividend Yield for this high dividend stock is currently at 2.17% per year. You could sell an option that enables another investor the right to purchase your WMT shares by Dec. 21 for $100. 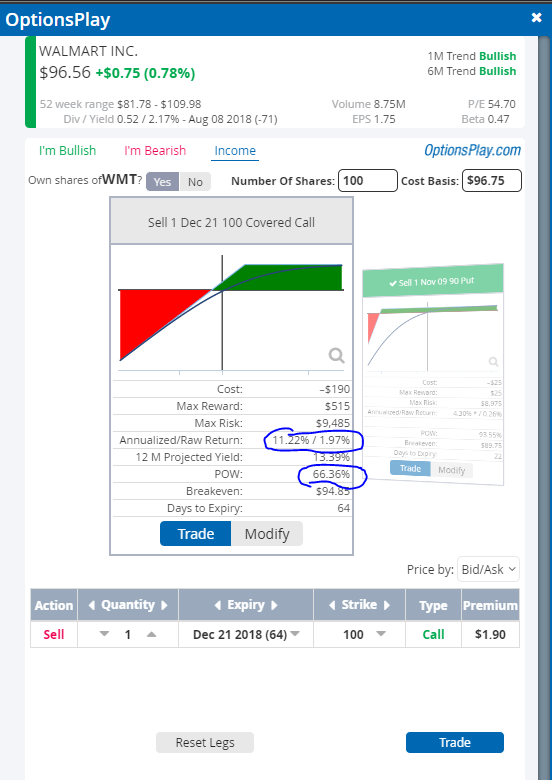 The other investor does not have to purchase WMT, and won’t unless WMT trades for over $100 at the end of the option period. When you sell the option, you collect the income immediately. In this case, that option would pay you $181. If WMT never hits $100, you have made additional income without any risk. That $181 if you annualize it (i.e. assume that you continue to sell options upon expiration would net you an additional $10.56. How do you determine the right strike price for your high dividend stocks? Entire books have been written about this. The answer depends on how important it is for you to continue to hold the stock. There is a tradeoff: the closer the strike price is to the underlying equity’s price, the higher the premium you will receive on the covered call. A dispassionate trader might look at a chart, and choose a strike price just outside of Walmart’s normal trading range. Here is a chart of Walmart, and you can see $100 is right at the upper limit of the trading range.